Designed to maximise your recovery,1 this refuelling formula combines hydrolysed whey and isolate with carbs, creatine, and a unique vitamin and mineral blend — so you’re always ready for the next session. 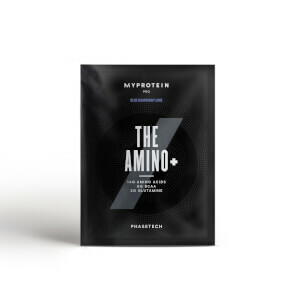 Packed with 26g of high-quality protein, helping to grow and maintain important muscle,3 and a massive 42g of carbs from waxy maize starch and maltodextrin, it’s the perfect refuel after any workout — with no meal prep needed. Each shake also delivers a unique vitamin and mineral boost, including vitamins B6, B12, C, zinc, magnesium, and iron. 1. Carbohydrates contribute to the recovery of normal muscle function (contraction) after highly intensive and/or long-lasting physical exercise leading to muscle fatigue and the depletion of glycogen stores in skeletal muscle. This beneficial effect is obtained with the consumption of carbohydrates, from all sources, at a total intake of 4g per kg body weight, at doses, within the first 4 hours, and no later than 6 hours, following highly intensive and/or long-lasting physical exercise leading to muscle fatigue and the depletion of glycogen stores in skeletal muscle. 2. Creatine is proven to increase physical performance in successive bursts of short-term, high-intensity exercise. The beneficial effect is obtained with a daily intake of 3g of creatine. 3. 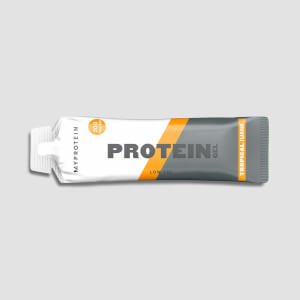 Protein contributes to the growth and maintenance of muscle mass. When to take Extreme Recovery Blend? It’s a blend of fast-releasing protein and carbs, so we recommend adding 2 ½ large scoops to water or milk 30-60 minutes post-workout — but it’s ideal any time for a convenient way to get the protein you need. What does Extreme Recovery Blend work well with? Extreme Recovery Blend is the perfect refuel after any workout, but if you’re looking for a tasty treat to enjoy anytime of the day, try our Protein Cookies — with 70% less sugar and 40% less fat than many supermarket alternatives, it’s the sweet snack that keeps your training on track. Store in a cool, dry place away from direct sunlight and out of reach of young children. This product is intended to be used alongside an active lifestyle and a balanced diet. 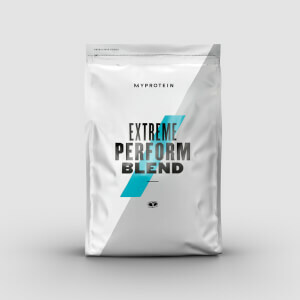 Strawberry Cream Flavour: Whey Protein Isolate (27%) (Whey Protein Isolate (Milk), Emulsifier (Soy Lecithin)), Waxy Maize Starch (27%), Maltodextrin (26%), Amino Acids (11%) (L-Leucine, L-Glutamine), Creapure® (Creatine Monohydrate), Hydrolysed Whey Protein (Milk) (3%), Flavouring (Colour (Beetroot Red), Sweetener (Sucralose), Flavouring), Ascorbic Acid (Vitamin C), Electrolyte Blend (Sodium Chloride, Potassium Sulphate, Di-Calcium Phosphate, Magnesium Oxide), Vitamin & Mineral Blend (Magnesium Oxide, Ascorbic Acid (Vitamin C), Ferrous Fumarate (Iron), DL-Alpha-Tocohpherol (Vitamin E), Niacin, Retinol Acetate (Vitamin A), Zinc Oxide, Vitamin B6, Cholecalciferol (Vitamin D), Thiamin, Riboflavin, Cyanocobalamin (Vitamin B12), Folic Acid, Potassium Iodide). Chocolate Smooth Flavour: Whey Protein Isolate (27%) (Whey Protein Isolate (Milk), Emulsifier (Soy Lecithin)), Waxy Maize Starch (25%), Maltodextrin (25%), Amino Acids (11%) (L-Leucine, L-Glutamine), Flavouring (Fat Reduced Cocoa Powder, Sweetener (Sucralose), Flavouring), Creapure® (Creatine Monohydrate), Hydrolysed Whey Protein (Milk) (3%), Ascorbic Acid (Vitamin C), Electrolyte Blend (Sodium Chloride, Potassium Sulphate, Di-Calcium Phosphate, Magnesium Oxide), Vitamin & Mineral Blend (Magnesium Oxide, Ascorbic Acid (Vitamin C), Ferrous Fumarate (Iron), DL-Alpha-Tocohpherol (Vitamin E), Niacin, Retinol Acetate (Vitamin A), Zinc Oxide, Vitamin B6, Cholecalciferol (Vitamin D), Thiamin, Riboflavin, Cyanocobalamin (Vitamin B12), Folic Acid, Potassium Iodide). Banana Cream Flavour: Whey Protein Isolate (27%) (Whey Protein Isolate (Milk), Emulsifier (Soy Lecithin)), Waxy Maize Starch (25%), Maltodextrin (25%), Amino Acids (11%) (L-Leucine, L-Glutamine), Flavouring (Colour (Curcumin), Natural Flavouring, Sweetener (Sucralose)), Creapure® (Creatine Monohydrate), Hydrolysed Whey Protein (Milk) (3%), Ascorbic Acid (Vitamin C), Electrolyte Blend (Sodium Chloride, Potassium Sulphate, Di-Calcium Phosphate, Magnesium Oxide), Vitamin & Mineral Blend (Magnesium Oxide, Ascorbic Acid (Vitamin C), Ferrous Fumarate (Iron), DL-Alpha-Tocohpherol (Vitamin E), Niacin, Retinol Acetate (Vitamin A), Zinc Oxide, Vitamin B6, Cholecalciferol (Vitamin D), Thiamin, Riboflavin, Cyanocobalamin (Vitamin B12), Folic Acid, Potassium Iodide). The nutritional information is based on the Chocolate Smooth Flavour version, when choosing an alternative the nutritional values may vary. Ready to mix carbohydrate and protein fortified food powder blend with added amino acids, creatine monohydrate (Creapure®), vitamins, minerals and electrolytes. Strawberry cream flavour with sweetener. Ready to mix carbohydrate and protein fortified food powder blend with added amino acids, creatine monohydrate (Creapure®), vitamins, minerals and electrolytes. Banana cream flavour with sweetener. Ready to mix carbohydrate and protein fortified food powder blend with added amino acids, creatine monohydrate (Creapure®), vitamins, minerals and electrolytes. Chocolate smooth flavour with sweetener. Some of the reviews on here are daft. This is a really good product and does what it says on the tin. Defiantly helped with my recovery time and id recoment to anyone. Yes it's a little bitty but it's got a lot packed into it. If you want smooth then buy whey and take everything else in powder/ tablet. Very convenient shake and for me, does not taste bad at all! Works well, noticed reduced muscle soreness and quicker recovery the day or two after training. Got to say I’m not impressed with the ‘new and improved reformulation’. I ordered it without realising it had changed to discover the serving size has gone up 50% with no discernible change in the macros and the taste is significantly worse. Shame as it is a great product, just feel it didn’t need tampering with and the changes aren’t an improvement in my opinion. 90g per serving is mad, time for a change. This is a great product and mixes brilliantly. I bought chocolate smooth as chocolate was a safe bet for flavour. However, its overly sweet, drinkable but too sweet for me. Apart from that it's perfect, recovery times are shorter and strength gains are good. I use this after running for the recovery and to stop me craving carbs the next day. I used the chocolate flavour and it is just far too sweet and sickly. It mixes OK - I used water with the standard lid mess shaker not the ball. From a recovery point of view it works well but the flavour / taste is awful Re:Go has a much better taste / sweetness balance and I have returned to that now. Read some reviews and don’t understand why some say it’ doesn’t mix well?..mixes fine..tastes better than most other powders..slightly chalky but with the creatine added I would expect that..too early too report on results but if judging by the ingredients this appears too be a pretty potent product👍..I use my proteins whey isolate and bedtime extreme and they are both excellent..don’t see this being any different. Chocolate smooth is good. Not the most amazing taste out of the protein I've used but definitely able to get down. I usually blend in a banana anyway to my shakes which helps the flavour so not a problem. I used this for 4 weeks, three scoops 4-5 times per week. Workouts were strength oriented. From week 2 onwards I noticed a massive reduction in delayed onset muscle soreness, and by the end of the month I had virtually no pain the following days. I took no other protein supplements at the same time and still gained a significant amount of strength and size. This is great! I'd advise on giving the shake an extra long mix - it took around a minute to get rid of all the clumps. I used strawberry which tasted absolutely fine.